Éirígí has branded a planned march through Derry on Saturday, March 4 as “deliberately provocative” and a “calculated insult”. It is estimated that 100 serving and former members of Britain’s military forces will take part in the march. 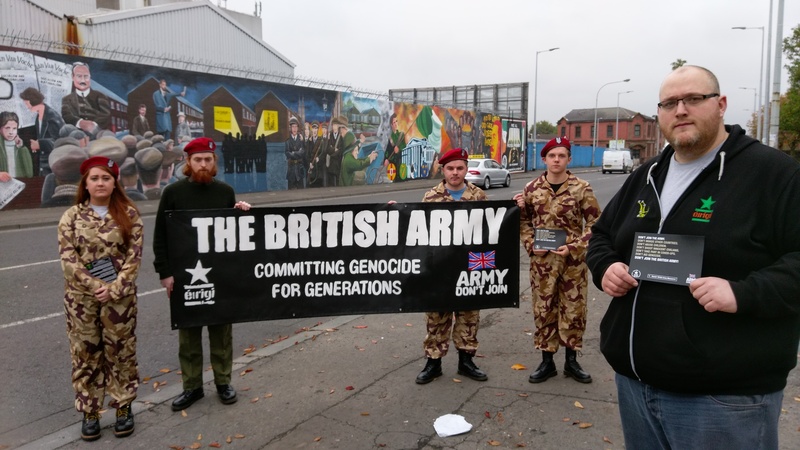 The event is one of a series which will take place across Britain and occupied Ireland in opposition to any prosecution of British soldiers who have committed serious crimes in Ireland. Very good piece in the Belfast Telegraph on Tuesday by Suzanne Breen on the demise of Stormont. It’s rightly headed “Such is the cynicism, most couldn’t care less if lights never go back on at Stormont”: see here. Look who owes Ireland. 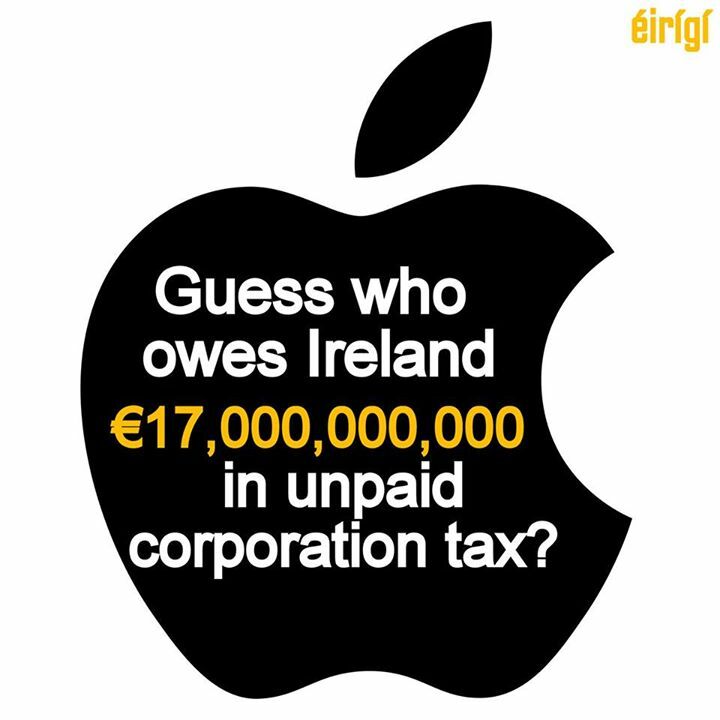 . .
Apple is estimated to owe seventeen billion (yes BILLION) euro in unpaid corporation back-taxes to the Twenty-Six County exchequer. And looking to the future, if this one US corporation actually paid the full 12.5% rate of corporation tax the state could receive an estimated FOUR BILLION in tax revenue from just this one company each year. For comparison the state currently takes an average of just €4bn in corporation tax from every domestic and international company combined. Yes, COMBINED. Do you find it hard to believe these figures? 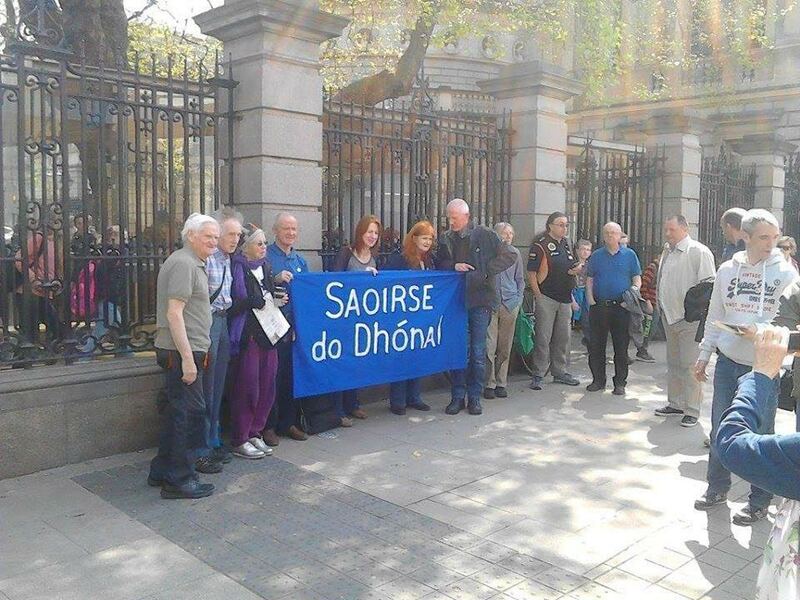 Do you think éirígí has made them up? Or perhaps you think we used the Anglo-Irish Bank approach and ‘picked them out of my arse’? The actual source of these figures is that well-known hot-bed of revolutionary socialist republicanism – J.P Morgan. Comments Off on Look who owes Ireland. . .
On Thursday evening (February 6) two éirígí election workers were assaulted by a member of the Garda Special Detective Unit – more commonly known as the ‘Special Branch’. The assaults mark a significant escalation in the ongoing campaign of harassment of éirígí activists by the Dublin government’s political police. The incident occurred at 20.50 on Claddagh Road, Ballyfermot, Dublin as three éirígí activists finished up delivering local election material to homes in the area. As the trio, Scott Masterson, Daithí O’Riain and Dónall Ó Ceallaigh were walking along Claddagh Road a Red Ford Mondeo, registration number 04 D 1915, approached the footpath at speed before coming to a dramatic halt. As the vehicle came to a halt the passenger shouted at the three activists through his open window. As the passenger did not identify himself the three activists sensibly continued to walk onwards.The passenger then attempted to exit the Mondeo, again shouting as he did so. It was at this point that the individual first identified himself as a Garda. In his haste to exit the vehicle the as yet unidentified individual tripped and stumbled. Having recovered his footing the individual then proceeded to firmly grab Scott Masterson by his two biceps and forcibly attempted to push him backwards, an effort which Masterson peacefully resisted. Throughout October éirígí in Ballyfermot worked with residents to form an effective response to the rise in house break-ins in the local area. Members and supporters of the party have distributed thousands of leaflets calling on the community to be vigilant and outlining a number of simple steps residents can take to help prevent break-ins. Information stalls have also been held at post offices in Ballyfermot, where éirígí have offered advice to local pensioners and other residents concerned about the rise in break-ins. The escalation of break-ins, as well as the lack of an effective Gardaí response to those break-ins, has created widespread anger across the south-west Dublin suburb. 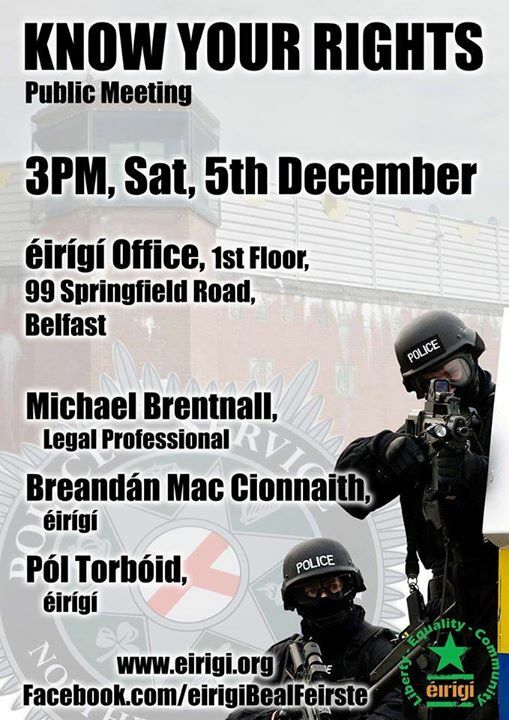 In response to that anger the socialist republican party organised a series of public meetings to give residents a chance to discuss the break-ins and a community-based response to the ongoing threat of burglaries. Over a hundred residents attended the two meetings that have been organised to date. The first meeting took place in Cherry Orchard on October 17, with the second taking place in the Pigeon Club in Lower Ballyfermot on October 21. Both meetings were addressed by éirígí’s Ballyfermot/ Drimnagh representative, Dublin City Councillor Louise Minihan.